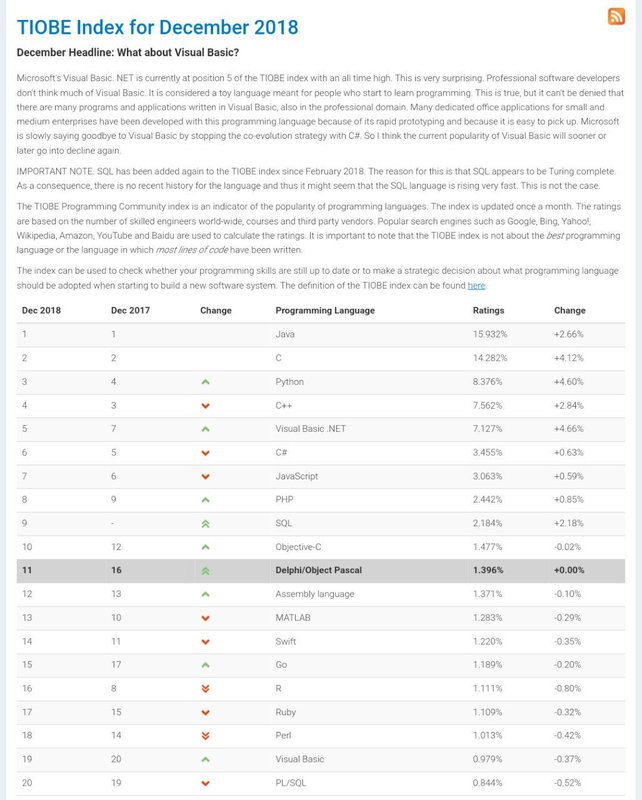 TIOBE: Delphi moves up above Go! Delphi is now marked as a fast up mover, and is even above Go, which itself is still rising. In fact Delphi has moved up FIVE places from 16 to 11 in one year. This is no doubt due a large part to the rather new Community Editions, as well as events like Code Rage and Embarcadero Academy. Atozed Master > CrossTalk > CrossTalk General > TIOBE: Delphi moves up above Go!